Hey everyone! It’s Monday and we are still on weekend in the US! Today is Martin Luther King day, so the school is closed and I didn’t have to go to my internship today, so this was a 3-day weekend. I honestly needed a break. Last two weeks have been very intense because of coming back from Barcelona, having jet lag, new courses and the internship, which is going really well! It feels good to have a small break to be able to breathe and get some energy. As usual, the breaks go faster than regular days, but this has been a good one. I’ve caught up in some movies and TV shows I wanted to watch, I’ve had time to go out and have fun with my friends, and I’ve been trying to get done with my assignments (which I will hopefully finish today) and I even did my laundry! 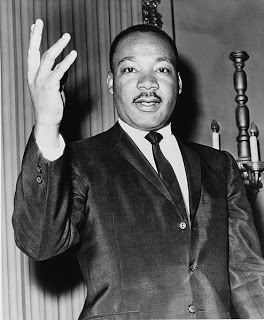 Back in Spain, we know who Martin Luther King is and we’ve heard about his achievements and especially about his speeches more than once at school. 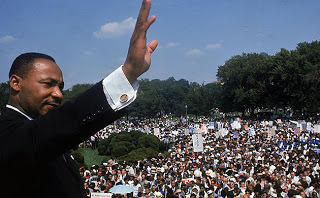 I don’t know how many times I’ve studied one of his most remarkable speeches “I have a dream”. However, he is a bigger figure here in the US. He has inspired so many people and he really made a change. I think it is more than justified to use this day (third Monday of January) to make a tribute to him. I have been making some research this morning, because I didn’t want to miss any detail of this day and I thought I could share some thoughts here. He is usually presented as a “American Civil Rights Leader”, which I think is a very powerful label. This society, no matter what group or minority, has to thank him for so much. Life would not make sense without evolution and progress, and I think he really contributed on that. He fought for equality in America, he fought to destroy racism and for sure he made a big change. This is why I think this holiday, besides making a tribute to this figure, celebrates the achievements of society in America regarding equal rights of people from different backgrounds. I was curious about how people celebrate this day here, because it is quite a new holiday for the country. I found out that most of the schools and some services and stores are closed today. Post offices and government are also closed and the public transport is running on weekend schedules. Moreover, there are many activities going on in the city. There has been a parade in the morning, there are many jazz concerts with performances by many artists, and some museums play movies and documentaries about his life. It very clear and it explains step by step how you can get involved. It is maybe too late for today, but you might give it a look and participate in the future. Have a good day wether you have a holiday or not! Thanks for reading and see you soon! Next Post Berkeley College Athlete Patricia Patterson Named Rookie of the Week! !